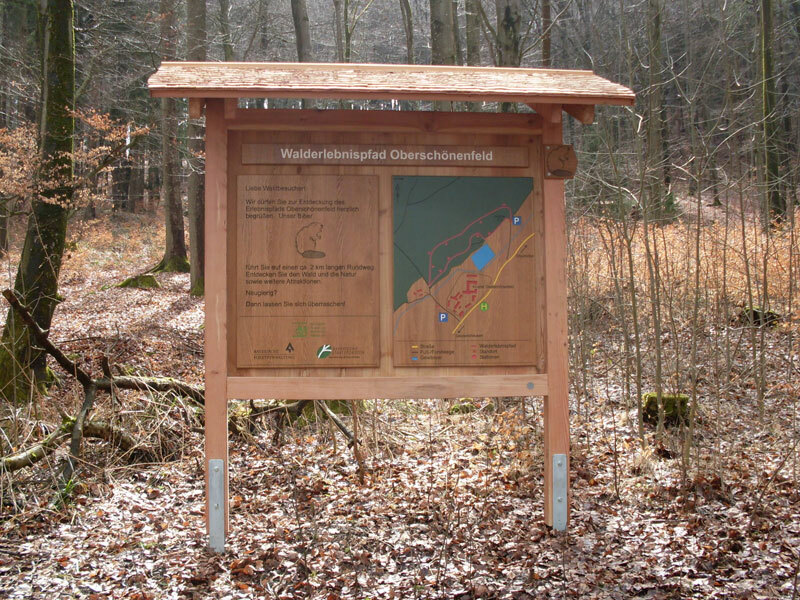 The Nature Experience Path Oberschönenfeld lies within Augsburg’s Nature Reserve offering a feast of interesting facts and information on the subject of forest as an ecosystem. In the station ‘Stoffkreislauf’ the visitors traverse a balance path to experience personally how easily systems can get out of balance. 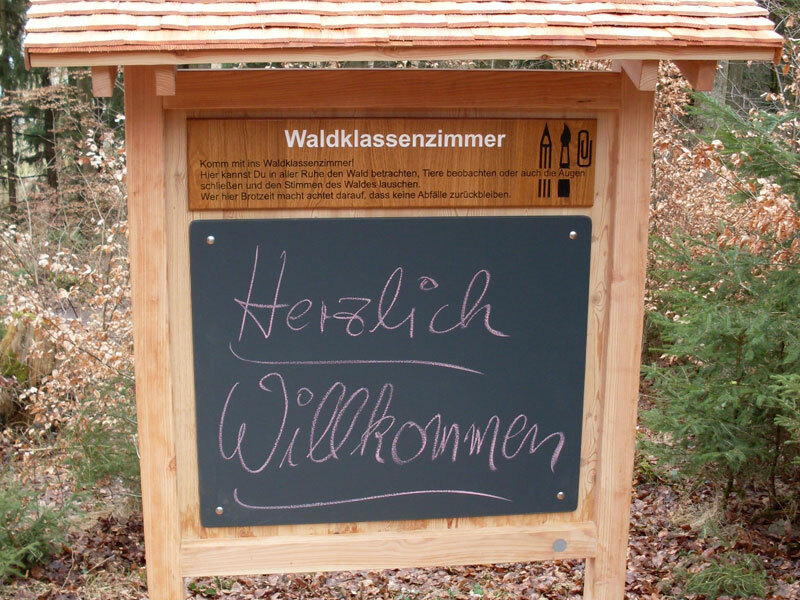 ‘Kleingewässer’ and ‘Schilfzone’ offer valuable living space for animals and plants. 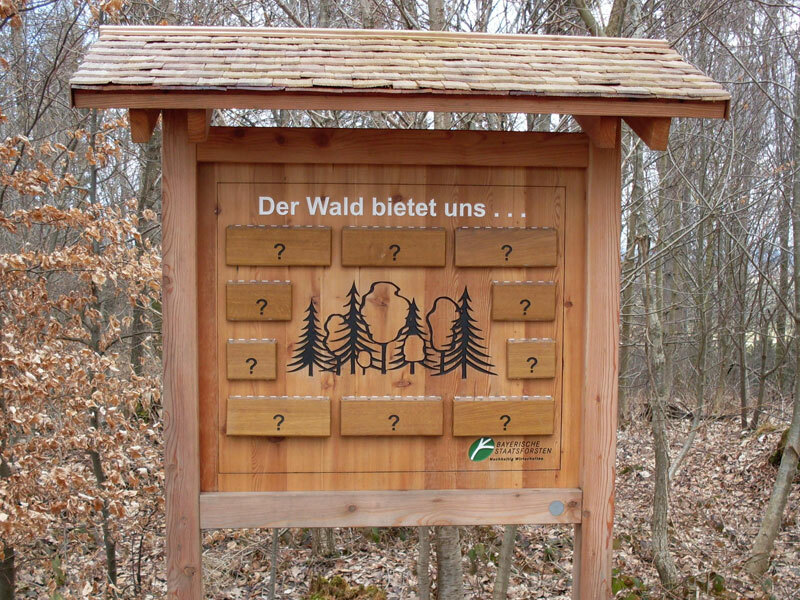 The stations ‘Mischwald’ and ‘Holz macht warm’ deal with the topic of trees. A viewing platform provides for a new perspective, allowing a nice overview and thus used as a resting place. 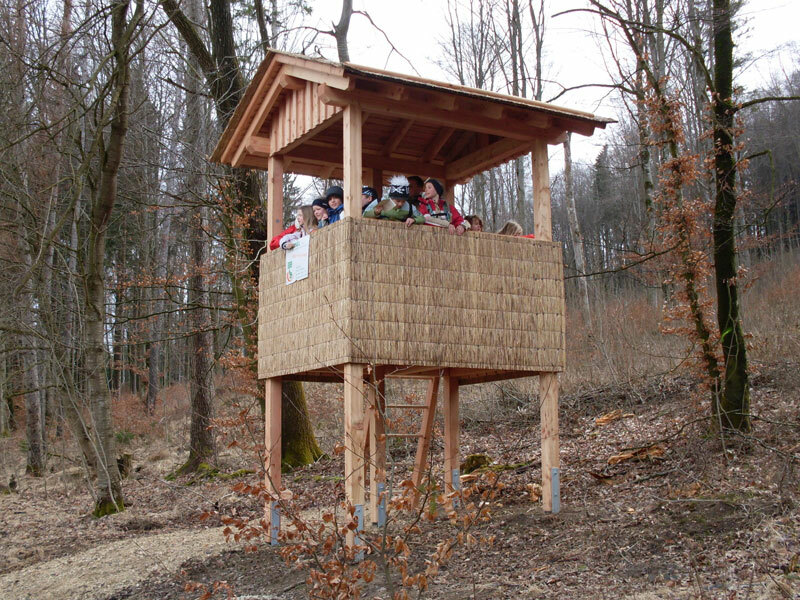 A forest classroom lends itself to outdoor lessons, however, also serves as a popular place for groups to meet. All signs and stations were made handmade by our workshop team. Our experienced construction team also undertook all on-site assembly.